Prints documents with sharp lines and smooth edges. Cartridges tested to ensure consistent quality. 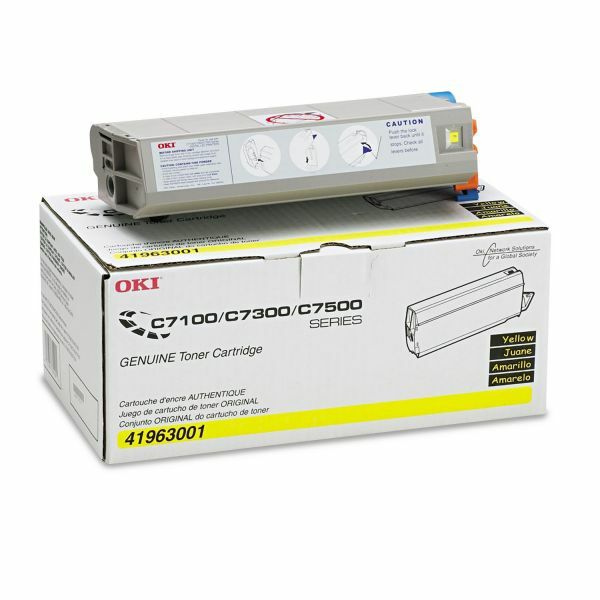 Oki 41963001 Toner (Type C4), 10000 Page-Yield, Yellow - Type C4 Series toner cartridge is designed for use with Oki C7100 Series, C7300N, C7300, 7300DXN, C7350 Series, C7500, C7500N, 7500DXN, C7550HDN and C7550N. Cartridge yields approximately 10,000 pages.